Discussion in 'Tasmania' started by StevieVW, Sep 20, 2009. Firstly what a great day out, thank you to all those who came from far and wide. Good to see some old faces and meet a few new ones. I have to say I was a bit worried that the weather may have put a damper on things when at 9:55 there was only me in the car park.... But by about quarter past there was a great selection of bus's there. Sorry I missed your DC Ed you weren't there yet. 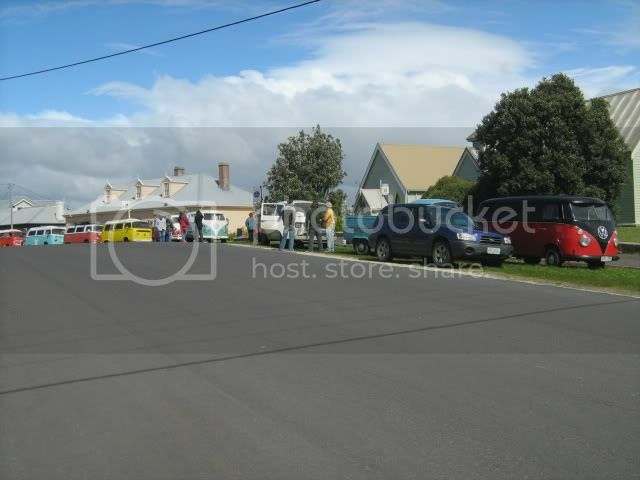 By the time we got to Burnie things looked bad, where did all the rain come from? The split drivers got a bit wet inside I believe. Unfortunately I was driving so I don't have any pics of the rain... Someone else maybe? But things got a bit better at stanley we even had the sun out for a short while tho the wind wasn't very friendly. So I don't think anyone climbed the nut. Had lunch, chatted then set off home. A fantastic day out all in all and again; thanks to all who made it so! 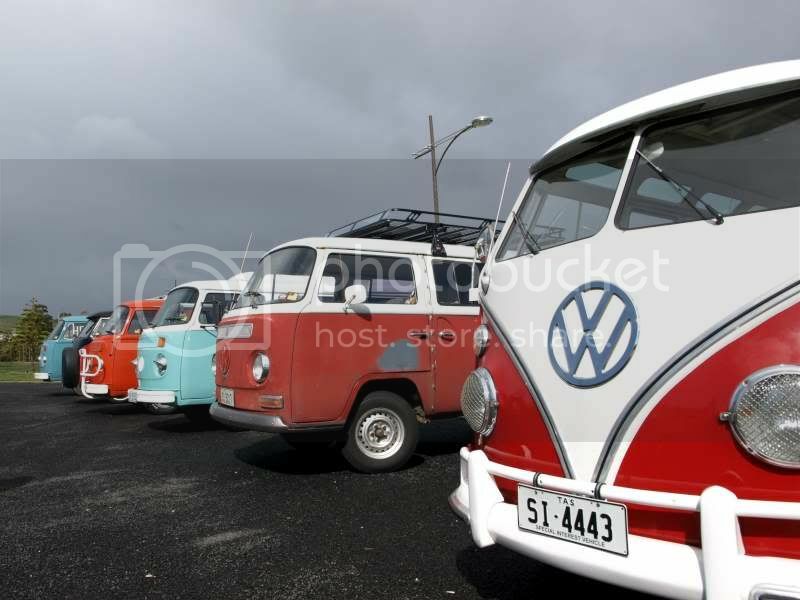 Looks like a fantastic turnout.....did KombiKyles make it in their kombi Ruby? They called through Nimbin a couple of weeks ago and told me they intended to make this event, their first KC event, on their way home. Yeah they made it. Off the boat then off on a cruise! set a date and we'll do something. Looked like a great turn out. 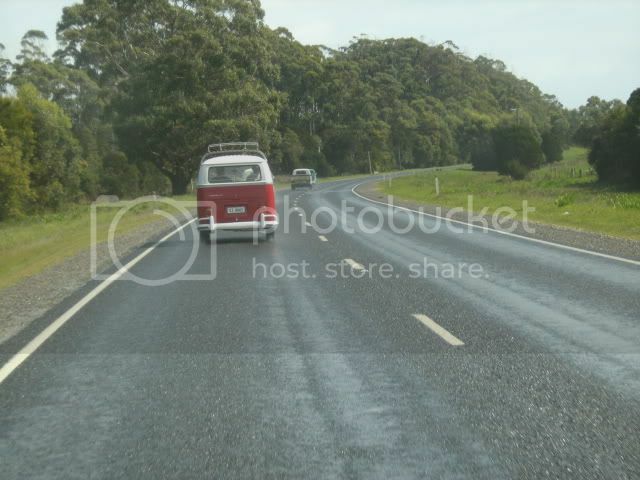 Anything on between the 2nd to the 20th of March as we will be down there in our 76 kombi traveling around Tas. We need another meet sometime and that give plenty of notice, we'll see what happens.